Behaviourism is based on the notion that development is learned and is strongly influenced by environmental factors. Many behaviourists stand by the fundamentals of this belief but feel that Skinner was short-sighted in believing that cognition doesn't play an important role. Social Cognitive Theory emphasises the principle that behaviour, environment, and cognition operate together, each exerting important influence on the others. Albert Bandura's studies concluded that environment causes behaviour but that behaviour causes environment, too. He referred to this idea as "reciprocal determination," believing that an individual's actions and the actions of the world around him are intertwined. As his work progressed, he further stated that personality is an interaction of outside influences (environment), behaviour, and an individual's psychological processes. Bandura conducted hundreds of studies, each of which helped lead him to similar conclusions - increasing in depth as the years progressed. Bandura's early research work focused primarily on observational learning (sometimes called imitation or modelling), which is simply learning from observing the actions of others. He believed that once someone had witnessed another's behaviour, they may be inclined to adopt this behaviour as their own, ultimately building it into their personality profile. For example, children who are raised in violent households may then act in a similarly aggressive manner when interacting with their peers. A dedicated music student practices diligently and becomes proficient at her craft. Her success increases her confidence and self-esteem, showing that her behaviour (the hard work) influenced her thinking process (the increased confidence). Before long, her music instructor offers the student and a few of her equally ambitious peers the opportunity to participate in a special recital and they happily agree. The recital is a big hit, encouraging other parents to enrol their children with this instructor, so at this point, the environment (the glorious recital) influenced behaviour (parents flocking to register their children for classes) and behaviour (those same parents actions) has influenced the environment (the teacher now adds more classes and buys herself a brand new car with the proceeds of her success!). 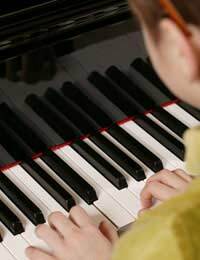 The wonderful recital prompted the belief that other children could benefit from instruction, thoughts that influenced the environment and vice versa. It would seem from studying the basics of Bandura's Social Cognitive Theory that by changing one or more aspects of influence, specific (and hopefully positive) outcomes could be achieved. For parents hoping to provide their children with the tools needed to grow into healthy, happy, responsible people, this is a heartening thought. Parents who raise children in a caring, supportive environment can certainly contribute to their children's abilities to develop good self-esteem, enabling the children to better deal with outside situations and influences that they are sure to encounter now and then. If you follow Bandura's theory a little further, it would suggest that self-confident children will affect the world in constructive ways, continually expanding the line of good outcomes. The idea that every person is a catalyst for change (either positive or negative) should certainly motivate parents to offer their very best to their children! Very understandable article thank you.